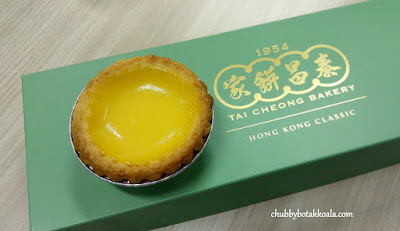 Tai Cheong Bakery is one of the most popular Egg Tart shops in Hong Kong. It is one of a must-try cafe where you are on a Food Pilgrimage trip in Hong Kong. 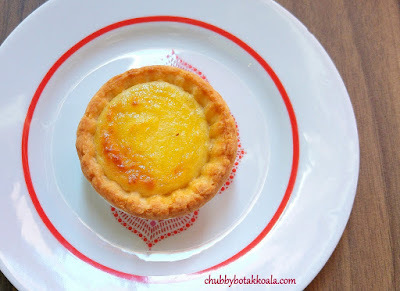 Luckily with more than a dozen branches in HK, it is not difficult to get the yummy egg tart. The best news is that now we do not have to travel so far to try these yummy egg tarts, as Tai Cheong Bakery has opened its first cha chaan teng in Holland Village, Singapore due to the overwhelming response to its Takashimaya counter and other pop-up stores. 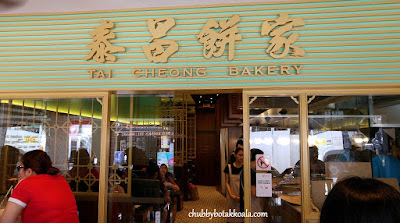 The arrival of Tai Cheong Bakery in Singapore is a collaboration between Food People (a subsidiary of Palm Beach Group) and Tao Heung Group (Owner of Tai Cheong Bakery). Egg Tart ($1.90). The crust is crisp, buttery and did not crumble easily. The egg custard has a solid jelly-like texture, mild egg flavour with a touch of sweetness. It is well balanced, and it is likely people can eat more than one without any problem. Bolo Bao ($2.20). One of a must try breakfast or tea break nibble in Hong Kong. A mini block of butter is placed between the bun. The pineapple topping is crisp and sticks to the bun nicely. It will be better if the bun was warm, as the butter having difficulties to melt. A good light snack. 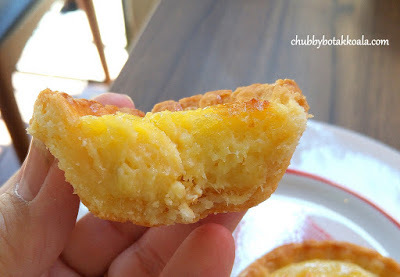 Durian & Cheese Tart ($3.60). An interesting combination. Surprisingly the blend of durian and cheese is very mild. I can't taste the cheese, but I can feel the durian mix. The crust is thick and buttery provided a good vessel for the fillings. Good snack for someone who doesn't like their durian to be too pungent. 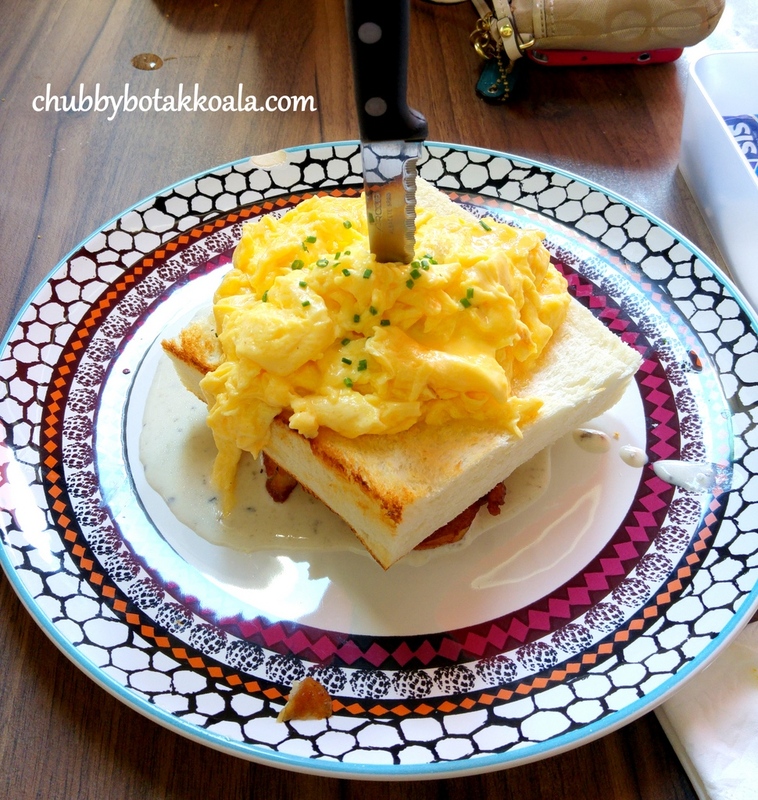 Scrambled Egg Toast Stack with Chicken Chop ($9.50). The scrambled eggs will definitely bring back the memories of HK breakfast. It is light, silky, fluffy served on top of toasted soft pillow-like bread. The chicken is tender and well marinated. If you expect something spectacular, you will be disappointed. 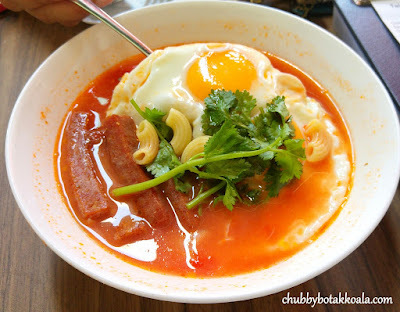 It is a typical HK cafe breakfast, not a three Michelin Stars restaurant. How spectacular do you want your breakfast to be? Three Egg Macaroni Soup with Luncheon Meat ($8.50). LD definitely enjoy this meal. 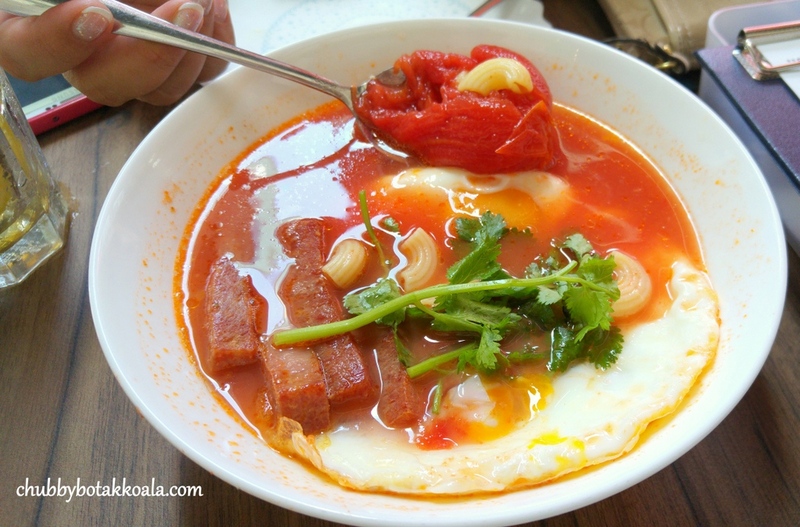 The sourish tomato base soup plus three perfectly cooked sunny side up eggs definitely will give you a sunny start to your day. Luncheon meat is crispy and saltish to offset the tanginess in the soup. You can expect to see some fresh tomatoes in between the macaroni, just to show that the broth is freshly made. Of course, you can't miss out on the HK Milk tea when you dine here. 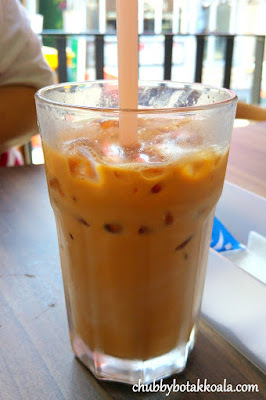 I tried the Cold Hong Kong Milk Tea ($2.80). Definitely taste like the one in HK. Solid tea flavour, with a touch of bitterness. Followed by creamy milk texture in it. Service is friendly and efficient. Once you ordered, the food will arrive in less than 10 minutes. The seating area is very limited. There are about 5 tables in the air conditioned area which can cater about 30 pax max. While the outdoor can cater for about 20 pax. There are two queuing lines, the right is for take-away only, while the one on the left for dining in. 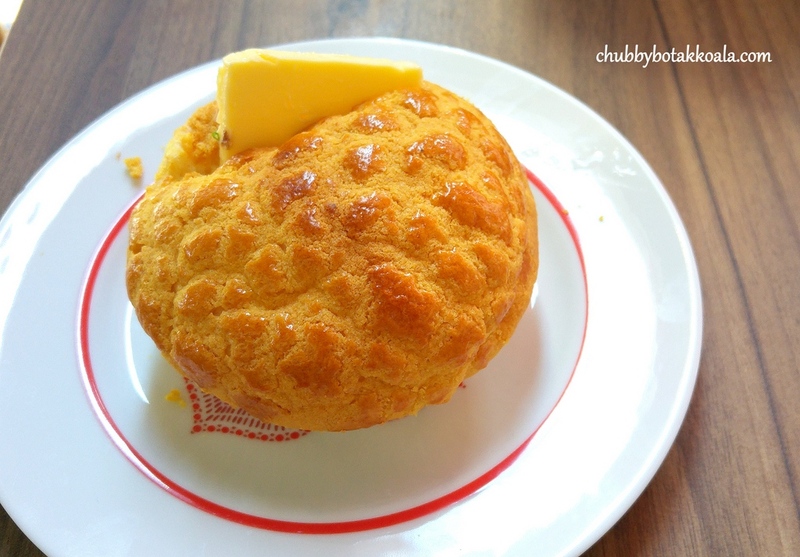 Overall, Tai Cheong Bakery definitely served the comfort food that the Hong Kongers have on daily basis. It is good, but don't expect extraordinary stuff. We'll definitely make a return visit, just not very keen on spending too much time lining up. Cheers! !